SET Safety is a web-based mobile friendly LMS solution for SMBs across the United States and Canada. The solution allows users to manage, administer and track online safety training within their organization, as well as generate reports. It integrates with other business systems to help with administrative work automation and easy synchronization for data transfer. SET Safety offers users a compliance-based system with existing courses for safety training, internal online training, certificate tracking, classroom training, competency validations and digital forms. The solution is designed to meet the needs of safety (HSE) professionals and human resources managers. SET Safety has clients across multiple industries including oil & gas, construction and energy. Users can custom brand the LMS and link it to their company website. SET Safety eases training management by automatically monitoring, reporting and notifying users about expiring training courses as well as identifying training gaps. Document management features allow administrators to store, review, track and upload employee specific documents such as annual reviews and performance assessment documents. Classroom calendar management features help to synchronize instructor and student schedules across multiple locations. Administrators can assign different access rights to each user on the basis of their role in the organization. The solution also offers single sign-​on, enabling employees to login to the internal system and then access the LMS directly from there. We started a group company account with SET Safety in early 2016, and have been very happy with the account and company since. We operate in many different locations in southern Alberta and in BC, and being able to have online training for our employees is the easiest way to ensure that we have properly trained workers. The group account was so easy to set up, in fact, SET Safety handled all of that for us so we could just get started on training! And any issues or questions we had about the account were answered pretty much immediately. The staff at SET Safety are very friendly and always willing to help if we need it. As the administrator of the account, I can add training courses to employee profiles with ease, and track their progress and print certificates. The wide variety of courses also allows us to fulfill most of our training needs with our SET Safety group account which is great. We are so happy with our SET Safety group account and are looking forward to continuing working with them in the future for our safety training and program management needs. Great company run by great people! A wide variety of courses, printing certificates, ease of creating user profiles. Since utilizing the SET Safety system our training record management and reporting have become more accurate and user-friendly. Courses offered to suit our needs in the Construction Industry and allow our employees access to required materials and coursework on any site, including remote locations. The support team has a great response time, which has only made our experience even more positive. Great service!User friendly easy to train employees how to use the software. 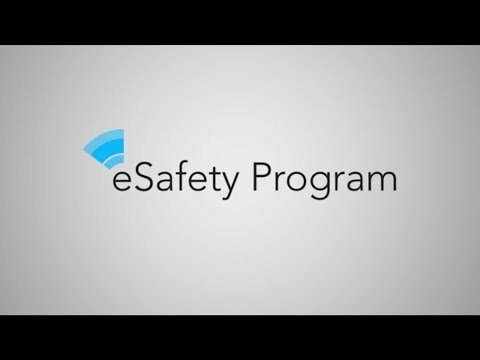 •	SET Safety offers a library of safety courses created by professional safety training companies across North America. •	Online hazard assessment forms allow employees to add pictures, videos or notes about potential hazards with real-time notifications sent if urgent attention is required. •	SET Safety offers a customizable in-built evaluation tool that allows administrators to generate a pool of questions then randomize their order. •	The solution offers Excel formatted templates that help in the creation of user accounts, online upload of classroom training records and download to training reports. Below are some frequently asked questions for SET Safety LMS. Q. What type of pricing plans does SET Safety LMS offer? Q. Who are the typical users of SET Safety LMS? Q. What languages does SET Safety LMS support? Q. Does SET Safety LMS support mobile devices? Q. Does SET Safety LMS offer an API? Yes, SET Safety LMS has an API available for use. Q. What other apps does SET Safety LMS integrate with? Q. What level of support does SET Safety LMS offer?